For months Democrats and their allies in the “mainstream” media have denied reports that many Alt-Left terrorists who use violence to crash pro-Trump and free-speech are actually bought-and-paid-for actors. 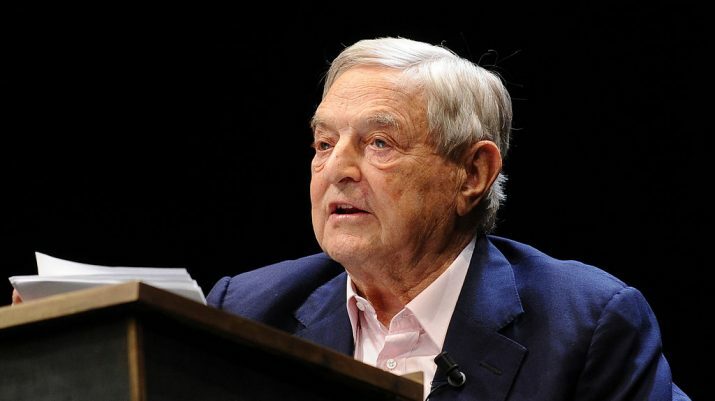 Now comes a new report noting that members of the domestic terrorist group known as Antifa are demanding payment for their “services” from Leftist billionaire George Soros. “Antifa demands George Soros pay us the money he owes. Unite comrades and fight for $15/hour. #resist,” says a tweet from Beverly Hills Antifa. — Bring along props to destroy businesses like hammers, clubs, tools, etc. Without question, it certainly seems as though Soros is funding these jerks; otherwise, why would they demand to be paid? And if that’s the case, then Soros really is funding domestic terrorism in the United States, which means he should be indicted, arrested, and if found guilty, jailed. As Trump.news reported in February, Soros’ dirty fingerprints were found on money given to the Alliance for Global Justice, a Tucson, Arizona-based group that helped organize Antifa-led violent protests on the campus of UC-Berkeley, in an ultimately successful attempt to shut down a speech by then-senior editor at Breitbart News, Milo Yiannopoulos. The Alliance for Global Justice got some of its funding from a separate Left-wing charity that is funded by Soros. He has used his vast fortune to topple governments in Serbia, Georgia, Ukraine, and Kyrgyzstan. He “broke” the British pound, was accused of wreaking havoc on the Malaysian ringgit, and was called an “economic war criminal” in Thailand. A French court convicted him of insider trading. What’s more, Soros works the American constitutional system to his advantage in order to push through his agenda. It’s time this man was arrested through use of existing criminal and civil laws. He is funding sedition.